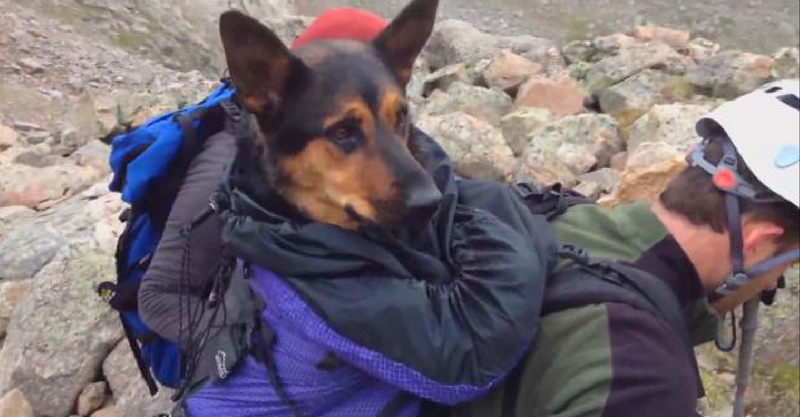 In mid-August, a German Shepherd mix named Missy made international headlines after she was rescued by a team of volunteer climbers from a ridge on Colorado’s 14,000-foot-high Mount Bierstadt. Her owner, Anthony Joseph Ortolani, said that Missy’s paws became so blistered and cut during the climb that she couldn’t walk, and that he and his friend tried to carry the 112-pound dog down the rocky terrain for two hours through rain and snow. When a storm rolled in, however, he chose to leave the dog behind because he feared for his and his friend’s well-being.